This time last year, I was going out every single weekend to different spots in Japan to watch the leaves change and take advantage of the cooler temperatures before it got to cold to function. I also made sure to take advantage of some of Japan's fall produce: persimmons. 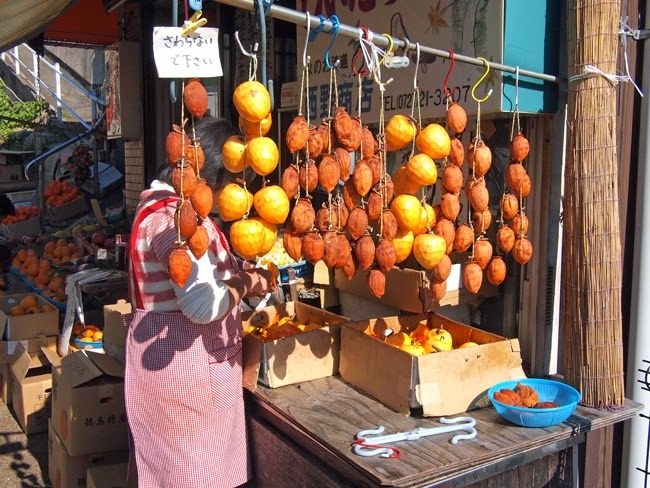 I had never eaten a persimmon before going to Japan and now it's so frustrating to be having an autumn without any! 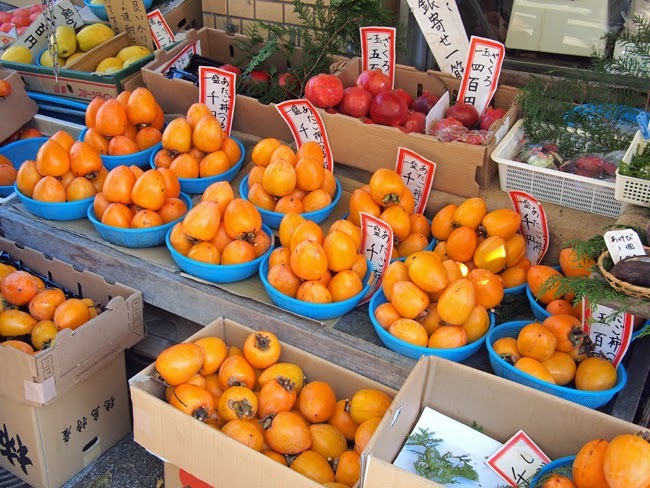 For most of my time in Japan I was spoiled and got all of my persimmons straight off of friends trees, but there is no shortage in supermarkets or produce stands in the cities either! Although they are delicious eaten as is, just off the tree, there are certain varieties that are peeled and hung out to dry to be eaten through the colder winter months, and they are just as delicious! When I lived in the countryside, often I could see houses with strings of kaki like the ones above hung all along the roof.